FRANZ SCHUBERT January 31, 1797 – November 19, 1828) was an Austrian composer. 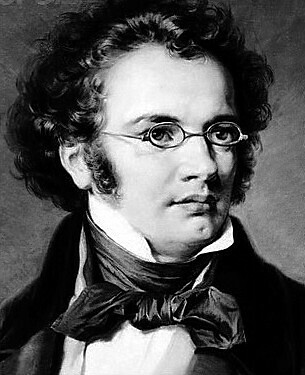 Although he died at an early age, Schubert was tremendously prolific. He wrote some 600 Lieder, nine symphonies (including the famous “Unfinished Symphony”), liturgical music, operas, some incidental music, and a large body of chamber and solo piano music. Appreciation of his music during his lifetime was limited, but interest in Schubert’s work increased dramatically in the decades following his death at the age of 31. Franz Liszt, Robert Schumann, Johannes Brahms and Felix Mendelssohn, among others, discovered and championed his works in the 19th Century. Today, Schubert is admired as one of the leading exponents of the Romantic era in music and he remains one of the most frequently performed composers.